Regulation of syndicated mortgages has been a hot topic in the Canadian real estate industry for the last few years. Precipitated by explosive news stories exposing misleading and fraudulent practices of certain industry participants, the Government of Ontario announced in the spring of 2017 its intention to move the regulatory oversight of syndicated mortgages from the Financial Services Commission of Ontario (FSCO) to the Ontario Securities Commission (OSC). In March of 2018, the Canadian Securities Regulators (CSA) published the Proposed Amendments to two national instruments, the effect of which would be to (i) remove the prospectus and registration exemptions currently available for the distribution of syndicated mortgages in a number of the CSA jurisdictions, (ii) introduce additional requirements to the offering memorandum exemption which would apply when the exemption is used to distribute syndicated mortgages, and (iii) make the private issuer prospectus exemption unavailable for the distribution of syndicated mortgages. In the time that elapsed between the release of this proposal and the close of the official comment period on June 6, 2018, the industry actively took up the opportunity to engage with the CSA proposal. Among these players was Community Trust, a privately held financial institution who, in partnership with Wierfoulds LLP., co-hosted an educational session with the OSC in April of 2018. This event provided a forum for participants to discuss the proposal and become better informed of its potential implications. The CSA also received twenty-six thoroughly crafted comment letters, the writers of which included mortgage brokers, law firms, trust companies, investor advocacy groups as well as associations representing appraisers, mortgage business and mortgage and investment professionals. These twenty-six missives served to illustrate several pervasive trends in industry opinion and apprehension, as explained by General Counsel and Corporate Secretary for Community Trust, Kateryna Yason. “While many welcome increased investor protection in the syndicated mortgage space, what becomes evident from reviewing the letters is that there is a deeply rooted concern in the industry,” observes Yason. “More specifically, industry participants are concerned that the proposed removal of current prospectus and dealer exemptions for syndicated mortgages will be prohibitively expensive and does not take into account the various types of syndicated mortgages. Some commentators have expressed a view that the industry is, overall, functioning well, and there is no need for an additional layer of regulation. In other words, there is no need to fix what is not broken,” she sums up this viewpoint. In past years, the imbalance in power and knowledge between investors and the other players has been widely overshadowed by low interest rates and record-high real estate prices, which generated high and steady returns for many. However, as markets are cooling down, Yason surmises that the true face of this imbalance is becoming more visible. “Ask an average retail investor how much they know about their investment in a syndicated mortgage, and you will likely be surprised with the scarcity of information they have at hand,” she suggests. Yason advises that some finessing of the Proposed Amendments, which seek to ensure that investors have proper access to information and advice before investing in a syndicated mortgage, would go a long way in achieving the desired investor protection goal, while minimizing industry disruption. Further, she observes, when it comes to the degree of experience that a dealing representative or a Chief Compliance Officer of a dealer in the syndicated mortgage space would be required to have, it is not clear what experience would be considered relevant to satisfy the proficiency requirements. This presents an issue insofar as registered securities dealers would traditionally not be well versed in mortgage transactions, while mortgage brokers looking to obtain a dealer registration will have a plethora of real estate industry knowledge, but often little, if any, securities experience. As a result, when it comes to proficiency requirements for dealers in the syndicated mortgage space, an acknowledgement by the CSA that certain types of experience in real estate or mortgage syndication would count towards the relevant experience, could be a way to bridge the knowledge gap between the dealer and mortgage broker communities, provided other conditions such as the completion of a prescribed securities course have been satisfied. 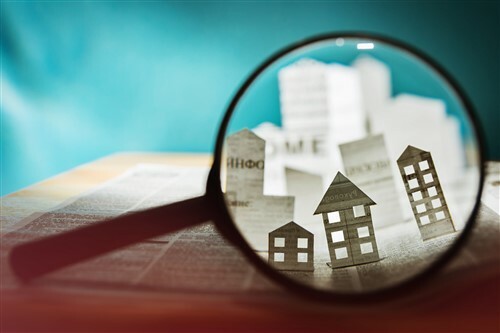 Yason acknowledges that the initial and ongoing compliance costs, if the Proposed Amendments are implemented, will most likely change the economics of the syndicated mortgage deals. Ultimately, it is a shift in our thinking that is required, suggests Yason who, while advocating for the need for these refinements to the Proposed Amendments, remains a strong supporter of the proposed changes. She believes there is a need for change. The Proposed Amendments have a potential to bring a positive outcome for the industry as a whole. For further information, please visit www.communitytrust.ca.